The folding smartphone war has just begun and the manufacturers are challenging each other with new technologies and new solutions aimed at making the use of foldable devices easier. 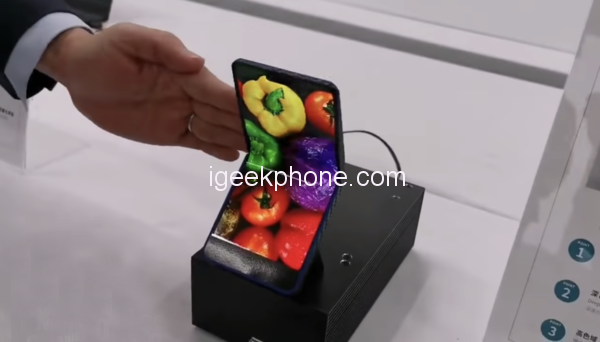 Among the “compact” folding proposals, the video of the prototype of a 6.18-inch vertically folding smartphone made by Sharp is very interesting. A demo that reflects the patent schemes circulated online over the past month. Live the device is even more fascinating. The folding phone has a 6.18-inch AMOLED display with 1440 x 3040 resolution and a fairly large notch. The smartphone shows in the vide the ability to bend inwards in the central part, without leaving obvious signs of the fold placed in the middle of the device. According to the tests carried out by Sharp, the device would be able to withstand 300,000 bending cycles, thus guaranteeing long-term durability. After a journey of mobile phones that has led to today’s smartphones featuring ever-wider displays, it now seems to be making a sort of step back, trying to make them “pocketable” again, using a mechanism that recalls the old clamshell phones (on kind of the new Moto Razr 2019 ). 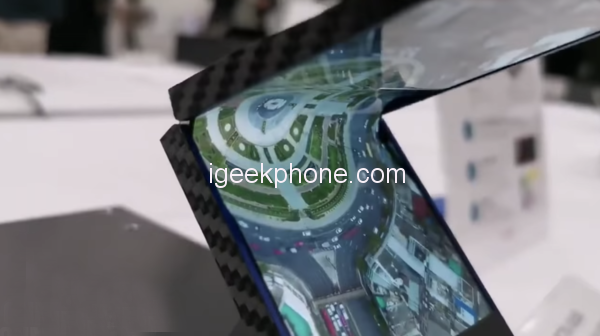 This road is joined by the one currently traveled by Samsung, with its Galaxy Fold, and by Huawei with the Mate X, which, with a footprint similar to that of current smartphones, thanks to the folding display, allows you to have even a device comparable to a tablet. 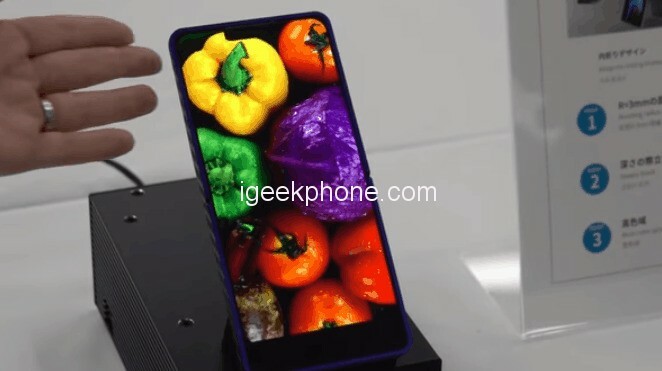 However, Sharp seems to be convinced that it will be the type of vertical and compact folding units to find the greatest favor of the users, giving a real boost to the spread of the foldable, so far held back by price and doubts about their use and duration. Within a few years, however, the situation will presumably be different: producers will improve and solve what are the current flaws of foldable technology, production prices, and therefore sales, will fall and probably everyone will soon have a folding device in their pocket. Waiting for this to happen, those who have a good budget and want to deal with this emerging technology will be able to try the new Sharp folding not long before, at a price that probably will not differ much from that proposed by competitors, so between the $1600 and $2260.